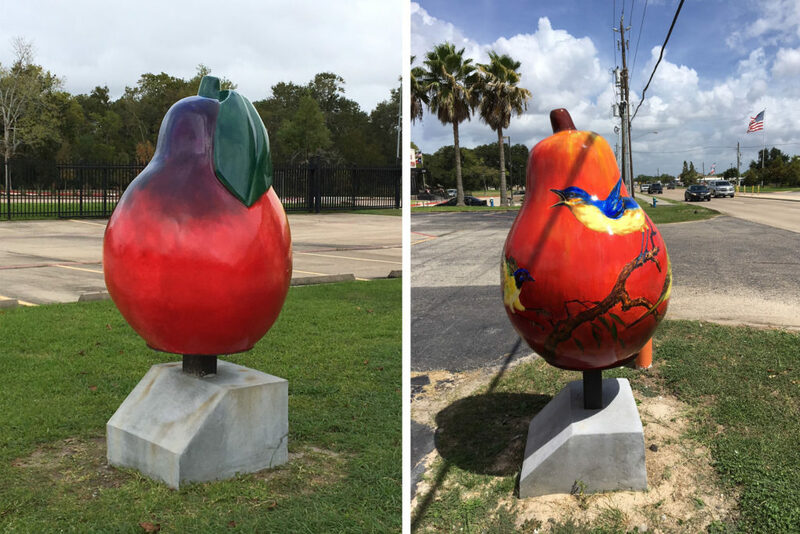 Recently, Pulice helped to contribute to promoting tourist-related activity within the City of Pearland, TX by playing a role in the development of the public Pear Art Sculpture Trail. City of Pearland Councilmember Trent Perez approached Pulice about contributing to the project, and Pulice’s contribution included building two concrete foundations for the artistic pears. Both foundations are located at Kings Beirgarten & Restaurant and BAKFISH Brewing Company. The Pear-Scape Trail consists of a total of ten 4-foot fiberglass pears painted by local artists. Pears can be found throughout the city – other locations include the City Hall Gazebo in Heritage Park, Country Place Golf Club, Hilton Garden Inn, Independence Park, Pearland Town Center, Reflection Bay Event Center, Southdown Park, and Zychlinski Park.